One of the hallmarks of Divine Designs Floral & Interiors is our unsurpassed customer service! Divine Designs Floral & Interiors has been serving Durham, North Carolina and surrounding areas for many years. 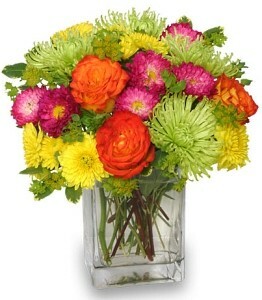 Our highly trained floral staff is ready to assist you with placing orders for local delivery or anywhere in the world. Not sure of what to send? We'll gladly help you with creative suggestions! For your convenience, we also deliver daily to all local hospitals and funeral homes. We hope you enjoy your online shopping experience with secure 24-hour ordering right at your fingertips. If preferred, call our shop at 919-596-1228 to place direct orders. Call today or stop by our shop on Wake Forest Highway in Durham, NC. Whatever the special occasion, let our talented designers create your flower arrangements. At Divine Designs Floral & Interiors, you can choose from several design styles that are perfect for everyday…birthdays, get well, anniversaries, congratulations, and just because. 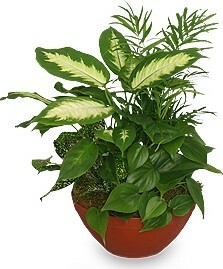 Browse our assortment of green plants, blooming plants and dish gardens to find a gift that adds life to any room, office or outdoor space. Choose from our selection of antiques, paintings, home décor, candles, stuffed animals, silk flowers and dried arrangements, wreaths, swags, fruit baskets, gourmet baskets, novelty baskets, baby shower baskets, wedding shower baskets and Italian baskets. When you need to send flowers for a funeral, ask our staff about customizing your sympathy floral tribute for a special friend or loved one. We will design and deliver a funeral arrangement that beautifully conveys your expression of sympathy and serves as a lovely memorial to the deceased. Our talented designers are ready to help you plan all the flowers, including bridal bouquets, floral arrangements and on-site decorations for a dream wedding, holiday party or any special occasion - large or small. Call in advance at 919-596-1228 to schedule an appointment for a consultation. Thank you for visiting our website for flowers delivered fresh from your local Durham, NC flower shop and convenient online ordering available 24 hours a day!